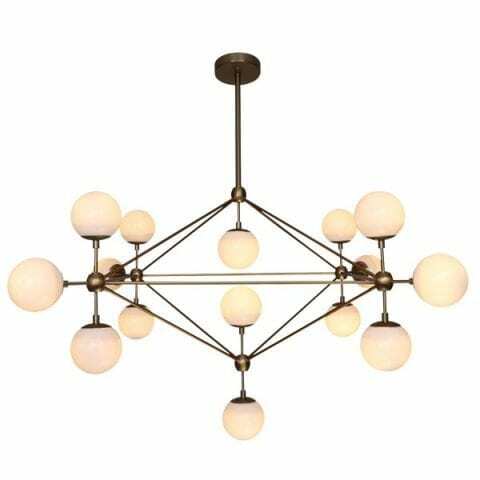 The LED 15 Light Branching Arm Burnished Brass Geometric Pendant is bold, beautiful and stylish. The design is geometric and features a black frame with exquisite glass spheres in clear. Frame Colour – Burnished Brass.